Great easy ride through DC. Lots of fun! Departure spot was a bit challenging to find, but staff was super helpful. This was a great tour! We learned a lot about the sights in DC. We bypassed all the traffic. This was way better than walking because you could cover more ground. The guide shared quite a bit of history and information. Very enjoyable! Really enjoyed this tour ,felt extremely safe on the roads in Washington and our tour guide was very knowledgeable. This was my first trip to DC. It was a great way to get a good idea of what to see in a short period of time. Lots to see and do. Great tour. We really enjoyed our time on this tour. Our guide was fantastic! We had done other tours and thought about canceling this one and are so glad we didn't. Each tour has its own twist and tidbits that are shared we learned something new each time. It was an excellent way to see the area. The tour was the right length and Jay was extremely informative I lived here several years and explored everywhere, but I learned new things on the tour. There was one thing I missed from previous years. 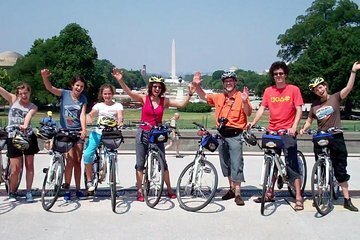 I took this tour two years ago and we were allowed to ride on the sidewalks down Pennsylvania Avenue, and we could stop at the FBI Building and learn about the building's construction and flags, at the Newseum and take a picture of the Berlin Wall piece through the window, and at Navy Memorial and the Japanese Internment Camp memorial. Now, however, bikes go down the bike lane in the center of Pennsylvania Avenue and you miss those sites. That is something that the bike tour can't help, so if you get the chance on your own, go see those sites. We really enjoyed this tour. It covered all the promised sites with an informative commentary. This tour was perfect! My friends and I went in October 2016 and we loved it. Definitely the best way to learn/see most of the iconic places in Washington. Had a great trip with Zac!! He was enthusiastic, knowledgeable of points of interest, and flexible throughout out journey. Best part of our trip to DC! This was a great tour. Em, our guide, was very knowledgeable and helpful. 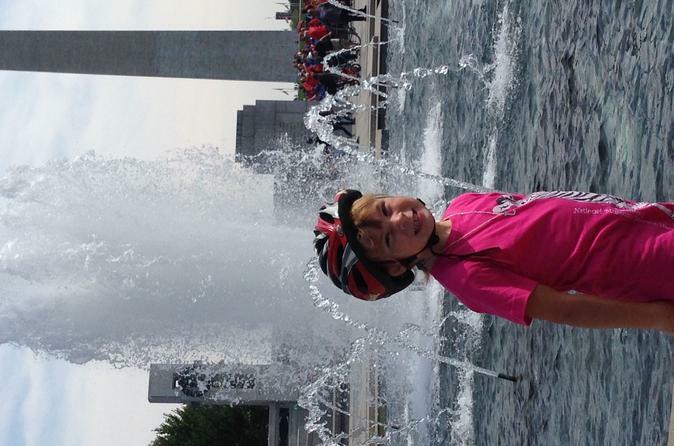 This is a great way to see and learn about many of the famous places on the DC Mall.